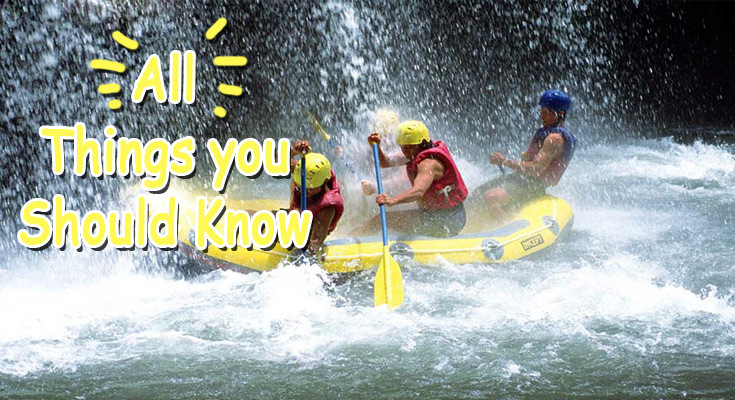 "3 things you should know before doing White Water Rafting in Bali"
Bali or known island of paradise, is one of the favorite places for a vacation. As you know Bali is famous for its natural beauty, beaches and culture. There are many great places to visit and there are many things you can do on this paradise island. And white water rafting is one of recommended activity to do and must include in your booked-list while your vacation in Bali. Bali has many streams suitable to used as a rafting location, derived from its two main mountains, the "AGUNG mountain" and the "BATUR mountain". Consequently many water sports operators are investing their money to set up a rafting tour operator. There are some famous ones, Bali adventure tour, Sobek rafting, Alam adventure, toekad rafting and Payung rafting and many more .. Although there are 3 locations rafting in Bali, but only 2 river are popular among travelers, that is ayung river rafting and Telaga waja river rafting. And the 3rd, Melangit river is actually a challenging and fun place for whitewater rafting where the river characters have lots of drop rapids, which is a challenge for you to conquer it. But the rafting route offered only 8 km, it is shorter than in Ayung 10 - 12 km and 16 - 18 km in Telaga waja. Read more >> Ayung river VS Telaga waja river, which one is better for Rafting ? After you decide your river rafting location, then you need to choose the white water rafting operator. Gives best value for money. "So without knowing the details, it will be difficult to choose the rafting tour that fits your needs"
Therefore, as a rafting agent in Bali, we only recommend the rafting operator with the best service, security, properties, quality of rafting and of course the competitive price, which is the best value for money. Here's a list of our recommended rafting operators on each river. Best operators in Ayung river is Bali Adventure Tour, but for Best value for Money is Toekadraft and Payungraft. The best operator in Telaga waja river is Sobekraft, but for Best value for Money is Alam Adv and Bukitcilli raft. The best operator in the Melangit river is Bakas Levi raft. WONDERING? why prices on each rafting operator differ when offering the same program. The things that make the difference in price are due to the quality of the property and the choice of food on each rafting operator, while for everything else it is almost the same. property in the intent is like, the building, lobby area, restaurant, view, hot water for shower, changing room and toilet. "so, after you have specified the rafting location and the rafting operator you want to join. Now the question is, what's the best way to make reservations?" 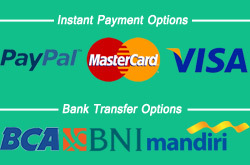 The best and easiest way to book a rafting tour in Bali is to make online reservations on the internet, one of them through this website bali-river-rafting.com, because by way of ordering online you will get a special price cheaper than the publish price operator rafting offer. "Are there any differences in the products, services, and security that you will receive if you make online reservation instead of booking directly to the rafting operator?" No difference in the services and facilities you will get on our online price compared to booking direct at the location. Ordering directly at rafting location will only give you a publish price. So, make a reservation to us, you will save a lot of money and your time to find the most suitable rafting package with you. Nottes: By booking a rafting tour to us, you will get a lower price without compromising the quality of service provided. we are always being neutral in providing rafting packages and rafting operators to our customers, so your feed back will be very useful for us in maintaining and improving our service quality.